Cherry’s New Bobux + GIVEAWAY!!! My little fashionista, Cherry, just loves her fashion accessories! In fact, she’s told me she aspires to be a shoe, handbag and hat designer when she grows up! Most days, Cherry wears her school shoes but looks forward to wearing something more fun on weekends and school holidays. If the Melbourne weather’s right, Cherry loves zipping around town on her scooter, so footwear needs to be comfortable and practical, yet still go with the outfit she’s styled for her day. So naturally Cherry was super thrilled when Bobux launched their stunning new range for bigger kids! She couldn’t wait to share her super cool online order with a YouTube unboxing video! WIN one of 2 x $100 Bobux online vouchers! To celebrate the launch, we’ve teamed up with Bobux for an awesome giveaway! We have 2 x $100 Bobux vouches up for grabs! All you need to do to be in the running is comment below telling us which Bobux shoes you would choose. Don’t forget to follow us on Instagram and Facebook too! You can enter via our Instagram feed, Facebook page or here on our blog. A maximum of three entries per person please, (one comment per platform). Entries close 18/04/17 midnight. Please note that all entries will be automatically signed up to the Bobux newsletter. The winner will be randomly selected and notified privately via private message. Open to Australian + NZ residents only. Good Luck! Thank you Bobux for Cherry’s fabulous news shoes! This entry was posted in Children's, Fashion, Giveaway, Product Review. Bookmark the permalink. 46 Responses to Cherry’s New Bobux + GIVEAWAY!!! Great comp! I’d love to get the Sway Bordeaux for my daughter – perfect boot for winter fun! Ranch Black Size 33 please ???????????? OMG the silver vault were my pick but I struggled with all the gorgeous choices! Beautiful shoes! Hard to choose they are all so amazing! I would love to win a pair for my son. These shoes have blown my mind! I want them in adult sizes! I would choose the Aktiv plus herringbone navy shoes for my little Mr, as they tick all the boxes for a great pair of shoes! They are stylish, comfortable, practical, and look super easy to put on and take off due to the velcro!! Ranch, Black. They’re almost exactly like my work boots, the little bloke will be stoked to have a pair like mine. Charm Red are nice and vibrant and great with my girls party dresses. The Charm Fuschia are a gorgeous choice of colour, I know they would become my daughters firm favourites. Love the Swirl Gold shoes – great for all the upcoming birthday party’s my daughter has been invited to. Love the Sway Bordeaux very elegant and stylish and perfect for the winter season to keep you warm like a bug in a rug. A lovely colour to brighten up any day. Leather for comfort and the styles super smart and gives great support . Bobux… you really are a step ahead! Provide comfort for little feet, BOBUX simply the best. I love the Sway Bordeaux boots, perfect for the winter. Bobux’s Pioneer Caramel are as cute as a button, but then every pair of shoes they have are pretty amazing. Difficult choice. Stomp in navy , full of comfort and style.. ready To walk, run , hop and skip a mile! Ranch red for my little girl would be awesome! scribble electric would look super cute on my 10 week old in a few months time. I loved Bobux on my 2.5 year old. Ranch Toffee are my fav!! The DOCKSIDE BEIGE / WHITE – perfect for my new niece! Ohhh the Desert in Caramel would be divine! The boys ‘Ranch’ boots would be my pick! Super versatile, warm and durable, plus my young son could easily put them on all by himself – winning!! 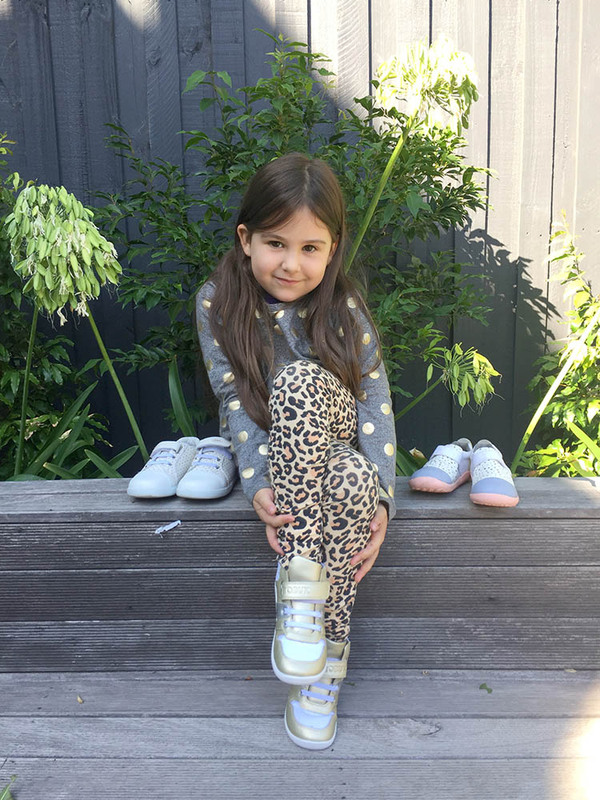 My daughter loves the Blaze Plus Lo Zebra Grey, winning these will sure make her day! The Desert Boot in Caramel ???????? I’d choose “BLAZE PLUS HI SHARK HAWAIIAN OCEAN” because they are super trendy and my son would love them! Sway Toffee for my ‘sweet’ daughter 🙂 These shoes look so comfortable and stylish, I would also be tempted to wear this style if only it were my size! Vault in Molten Gold. The perfect statement shoe to make my little miss the envy of all her toddler friends. I would choose the Sway Toffee! Sway Black, how cute are they! Fingers crossed for Shine Bordeaux Gloss! Love the Charm Fuschia, so bold and joyful! The Sway Toffee boots will be perfect for winter! Gro Company Event + Hamper GIVEAWAY!